It was a year of mixed emotions for Irish football fans. From January to June we experienced the elation and ecstasy of the build-up to the Euros. We came back down to earth with a bang however, after three defeats in eight days sent us packing from Poznan. Criticism rained down on Giovanni Trappatoni’s methods and his reluctance to call up certain players. The worst night Irish football had experienced in a long time arrived on the 12th October as footballing juggernauts Germany handed Ireland their heaviest home defeat ever in a 6-1 demolition at the Aviva. Players such as Damien Duff and Shay Given retired and with questions remaining over the futures of Richard Dunne and Robbie Keane, 2013 should be an interesting year for Irish Football. The Premier League had one of the most dramatic endings to a season since the blockbuster 1989 finale as Manchester City claimed their first top-flight title in 44 years. City and Manchester United both went into the last day of the season on 86 points, but Roberto Mancini’s charges had the superior goal difference and needed only to equal or better United’s performance on the day. The Red Devils registered a 1-0 win against Sunderland and looked set to lift the trophy with City 2-1 down against struggling QPR and less than five minutes to go, until an equaliser from Edin Dzeko and a last gasp winner from Sergio Aguero handed City the title in dramatic fashion. 2012 was the most successful year for Irish athletes at an Olympiad since 1956 as Team Ireland brought home five medals. 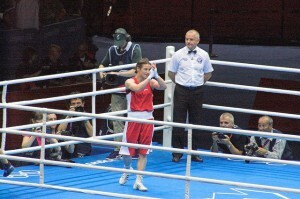 Katie Taylor won Ireland’s first gold in 16 years in her lightweight category while John Joe Nevin from Mullingar took home silver in the men’s bantamweight. 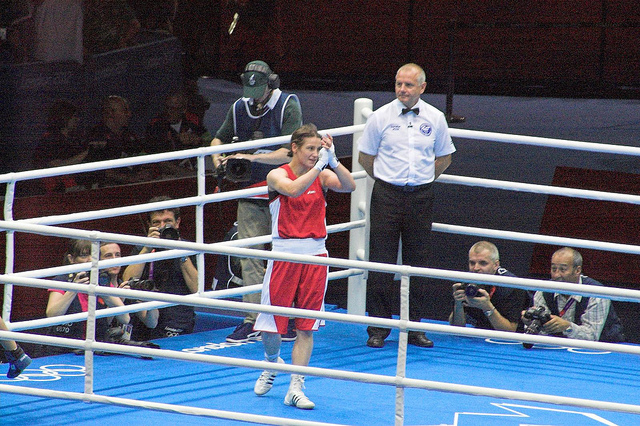 Paddy Barnes and Olympic debutant Michael Conlon both took home bronze. Eight years after his Olympic controversy, Cian O’Connor rode to a bronze medal in the individual equestrian aboard Blue Lloyd. 2012 was also Team Ireland’s most successful Paralympics since Seoul in 1988 as our athletes brought home 16 medals; eight gold, three silver and five bronze. The All-Ireland Hurling Championship had a familiar look to it as Kilkenny defeated Galway in the first All-Ireland final replay since 1959. The win gave talisman Henry Shefflin his 9th All-Ireland medal, making him the first man to achieve this massive feat. If the hurling championship had a familiar look to it, the football at least managed to provide a few surprises. Donegal won their first All-Ireland since 1992, beating last year’s finalists Kerry and the hotly-tipped Cork along the way. Mayo also surprised many as they defeated reigning champions Dublin on their way to the final. Europe completed one of modern sports’ greatest ever comebacks on the final day of this year’s Ryder Cup. Martin Kaymer sealed the win for Europe with a tense putt in the penultimate match with Steve Stricker. Tiger Woods and Francesco Molinari halved the last hole, leaving the final score 13½ – 14½ to the Europeans. The USA had taken a commanding lead over the first two days, finishing with a 10-6 lead on Saturday. European captain José María Olazábal dedicated the win to golf legend Seve Ballesteros.